Although the U.S. listed three telecommunications goals in its recently released, 16-page ‘Summary of Objectives for the NAFTA Renegotiation,’ experts on the subject say those objectives aren’t likely to have major ramifications for the Canadian wireless industry. The country also aims to secure commitments to provide reasonable network access for telecommunications suppliers through interconnection and access to physical facilities and scarce resources, and establish provisions protecting telecommunications services suppliers’ choice of technology. The opportunity for American telecommunications companies to do more business in Canada could lead to “more variety and lower prices” in the country, according to an expert interviewed by Global. However, several Canadian experts that spoke with MobileSyrup suggest NAFTA changes won’t make for any groundbreaking change in the telecommunications industry. “I’d be surprised if NAFTA resulted in significant changes to telecommunications regulation in Canada,” said Canada Research Chair in Internet and E-commerce Law Michael Geist told MobileSyrup over email. 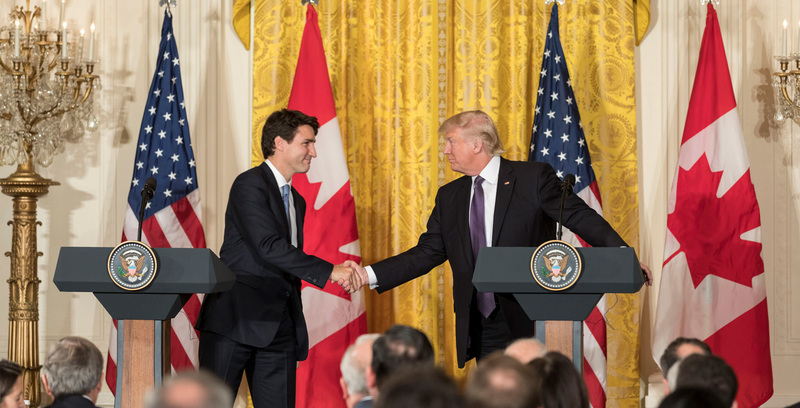 He noted that, unlike Mexico, Canada has an independent regulator in the Canadian Radio-television and Telecommunications Commission, and while the U.S. may not like all of its decisions, the Commission is always fairly transparent — a clear sign that the first and perhaps most intriguing goal is not targeting Canada. Still, Clark believes telecommunications is a significant concern for the U.S. in the broader scheme of things. “The U.S. has a special category of foreign trade barriers for telecommunications,” said Clark. Talks are expected to begin on or around August 16th.